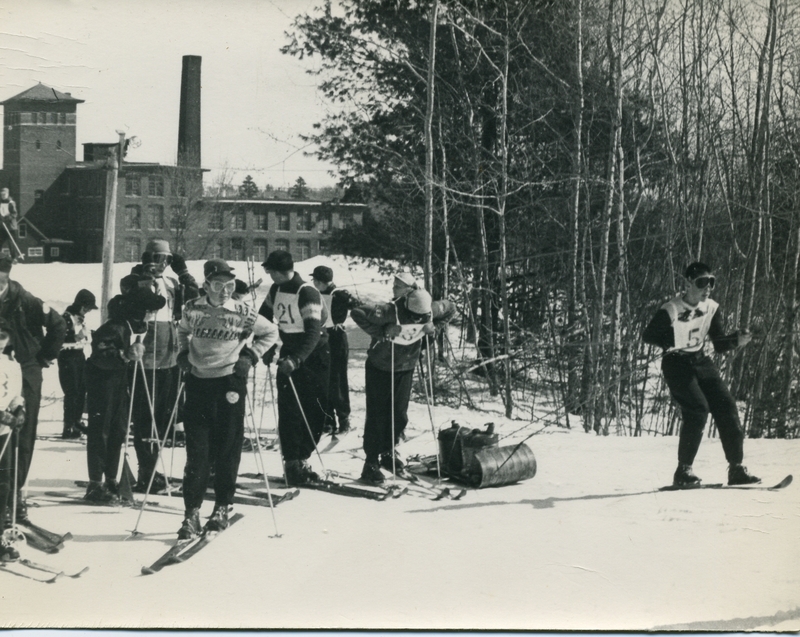 For over half a century The Pinnacle has provided Pittsfield residents a close-to-home opportunity for family oriented outdoor winter recreation. 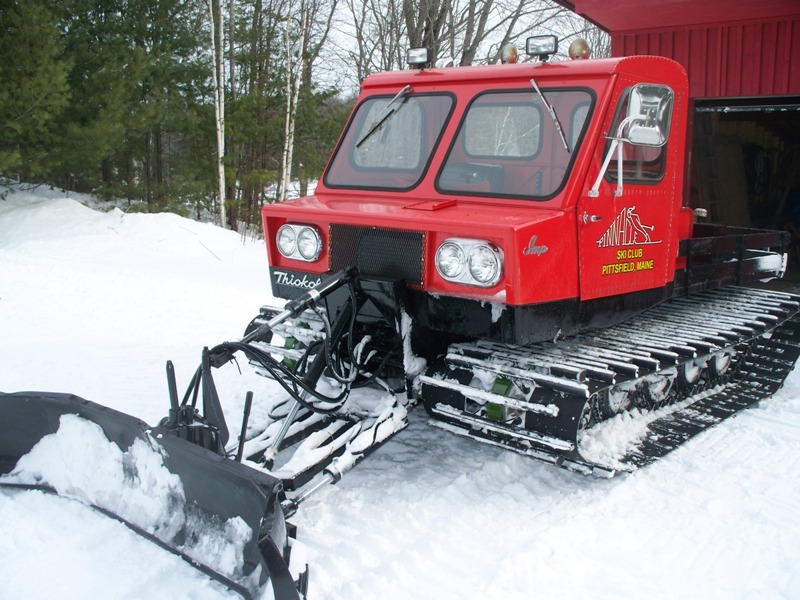 But even beyond that, it has provided a nearby training venue for the MCI Ski Club and has taught generations of youngsters the love of skiing. 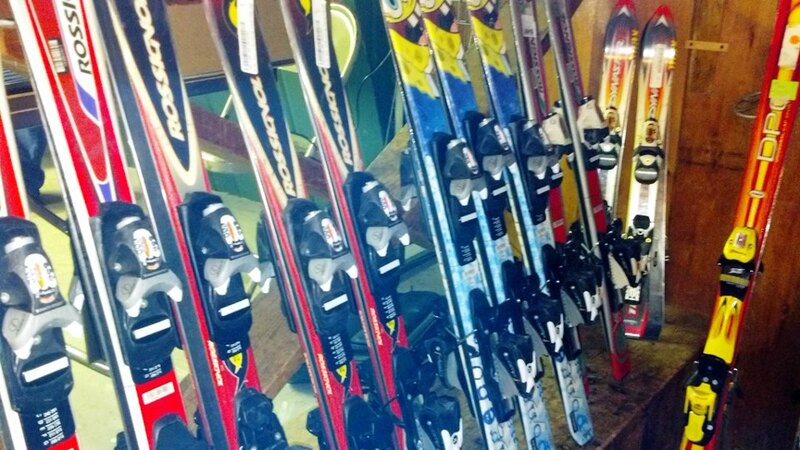 Photos from the Pinnacle’s Past. Contributed by Jane & Don Woodruff. Click on photos to enlarge … but they are large! 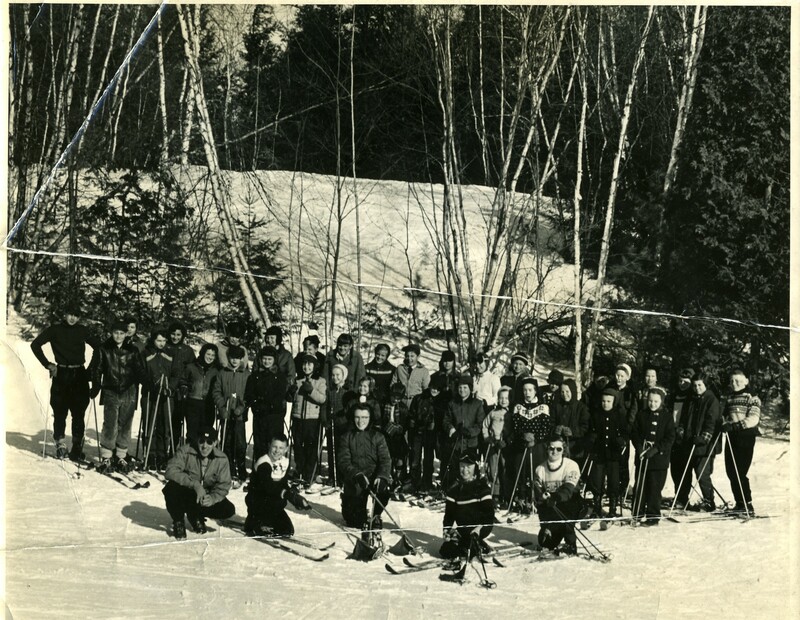 MCI ski team circa 1956. 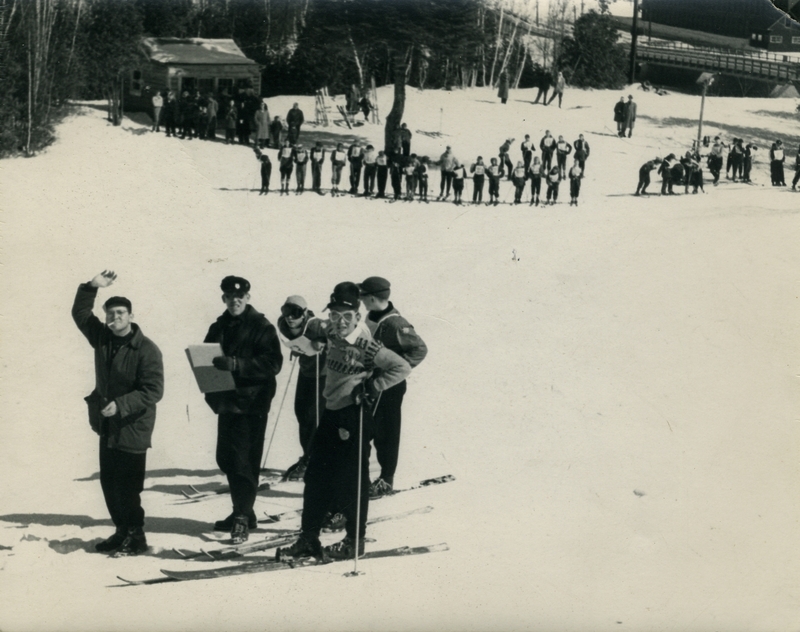 Francis Saunders (left) and Bud Dow (2nd from left) on the slope with some racers. Circa 1956. Racer #5 is pulling a toboggan with what I think are containers with gasoline or some fuel probably for the tow. Photo circa 1956. 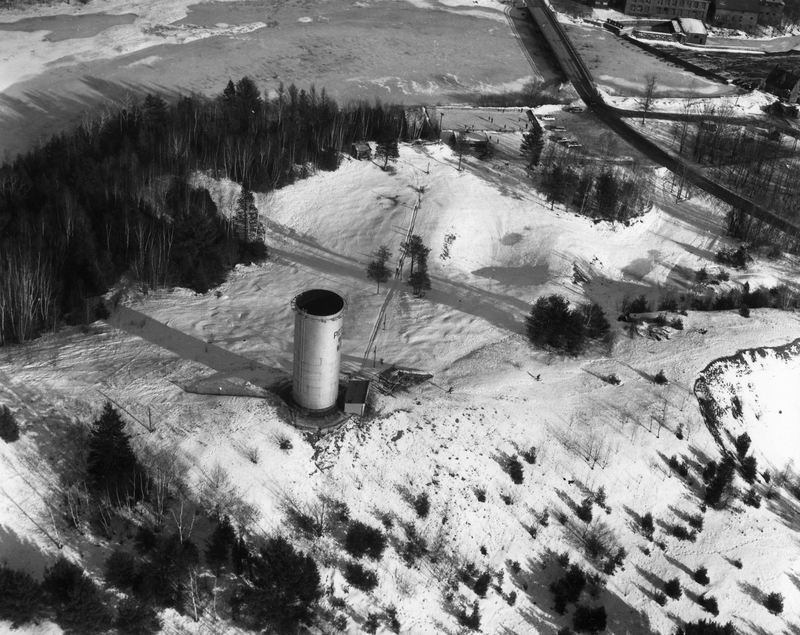 Aerial view of the Pinnacle from a Waterville Sentinel photograph taken on 15-Dec-1962. View of the Pinnacle Slope in the 1960’s. 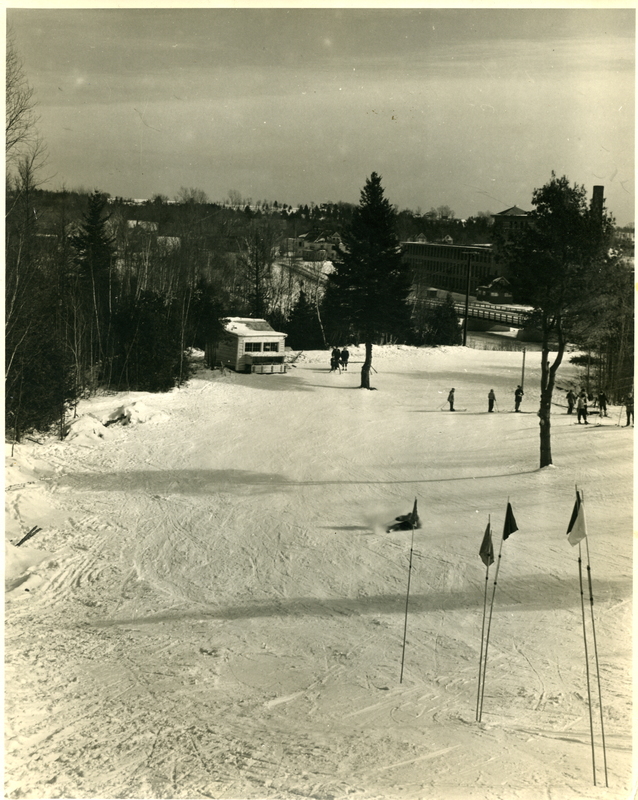 Note the old warming hut at the bottom of the slope. It was demolished in … and replaced with the new ski hut. You can see where the toboggan was stored on the front of the building.